The other day at the home supply store, while being perplexed with wood plank sizes (yes, I know both metric and imperial systems) and how to solve some new home problems, I began to wonder about the impact of living abroad on creativity. My first thought was on IKEA flower vases, in Europe, being bought as drinking glasses in the USA, and how IKEA managers didn’t fully understand why people in the USA were buying a flower vase to drink from. My thoughts quickly developed into creativity and living abroad. Living abroad creates many new learning opportunities. We have all heard this many times. 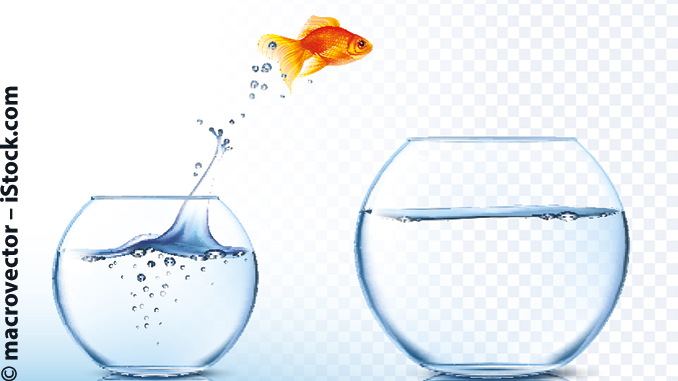 One reason companies send expats to foreign countries is the belief that upon their return, they will bring new perspectives with them and positively influence the overall organization. But in what form could this new learning opportunity take shape? One aspect is overcoming functional fixedness, or finding creative solutions to problems. Functional fixedness is a cognitive bias, meaning it can impact or prevent us from finding or thinking of creative solutions to problems. The term was developed and used by psychologist Peter Duncker while referring to issues in problem solving, where one element needs to have its perceived use changed. 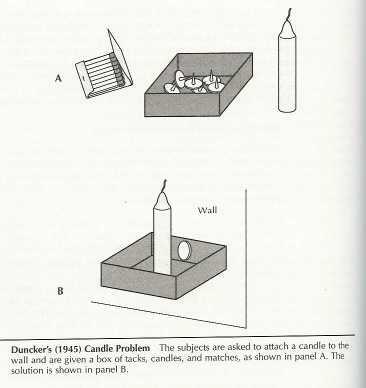 The task, which he published in 1945, is the now famous “candle problem”: Subjects are sat at a table next to a wall, and provided with a candle, box of tacks, and a book of matches. They are instructed to fix the candle on the wall and light it, but it mustn’t drip wax. The trick is to overcome the functional fixedness – being able to see more than one use for something – of the box holding the tacks to be used to hold the candle and be attached to the wall. (Inserting tacks through the candle will not suffice as they are too short to reach the wall, and melting wax on the side of the candle will also not hold on the wall). Finding solutions to problems, especially when the answer is staring us directly in the face, is not an easy task. How often have you stared at a problem, only to have someone later point out: “The answer is right there, isn’t it”? The root of the problem seems to be our brains not seeing things in new ways or holding onto thoughts of what was once true in the past still being true today. Hence our innovative skills are limited. Now, armed with an understanding of functional fixedness, does living abroad help us overcome it? In the most basic form, a positive answer – from those who have lived abroad – would be easy to conclude. In the initial stages of moving abroad, problems to solve are confronted at a rather high rate. For the generations that are younger than I, the drive to search for “outside the box” solutions may be grounded in not having an internet connection. But is there really a benefit from living abroad? Travelling abroad is fun, but here it is important to separate vacation travel from actually living abroad. Maddux and Galinsky (2009, p.1060) stated in their conclusion that “(al)though it is said that travel broadens the mind, in the current studies, we found a robust relationship between living in and adapting to foreign countries and creativity.” In an article about the testing of 220 MBA students, with the test from Duncker explained above, it was concluded “that people with this international experience are more likely to create new businesses and products and to be promoted” (Maddux, Galinsky, Tadmor 2010). The overall result is that living abroad will activate greater creativity. 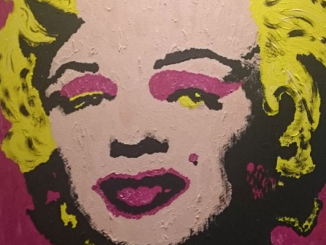 Yes, it can be argued that maybe those who lived abroad already had greater creativity and thus people who are likely to live abroad do so because of possessing greater creativity. Or, we could debate the method of testing applied by Maddux et al. However, both provide only negative reasons for not living abroad, with negative results – lower creativity, or at least perceived creativity. Feeling your creativity is not what it once was? Maybe it is time to move. Of course, an alternative is having children, five year olds possess very good skills at overcoming functional fixedness. However, research shows that this deteriorates by age six (German & Defeyter, 2000, p.707). Moving is definitely more affordable. If you need a quick kick for overcoming functional fixedness, then donate some time at a Kindergarten, you’ll learn a lot and do a good deed. When searching for a university program to study in, do research if it includes a study abroad. 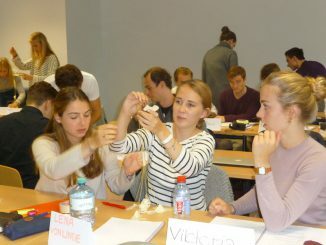 Going abroad as part of studying offers a lot of support in relocating, increased networking opportunities, and is an affordable method to taking, for many, the first experience of living abroad.